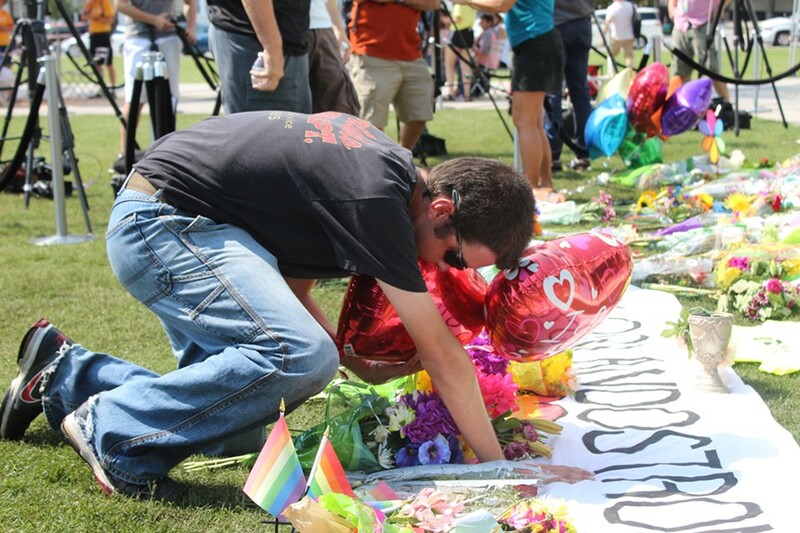 Orlando residents came out to the Dr. Phillips Center for the Performing Arts lawn today to honor the victims of the shootings at Pulse nightclub. 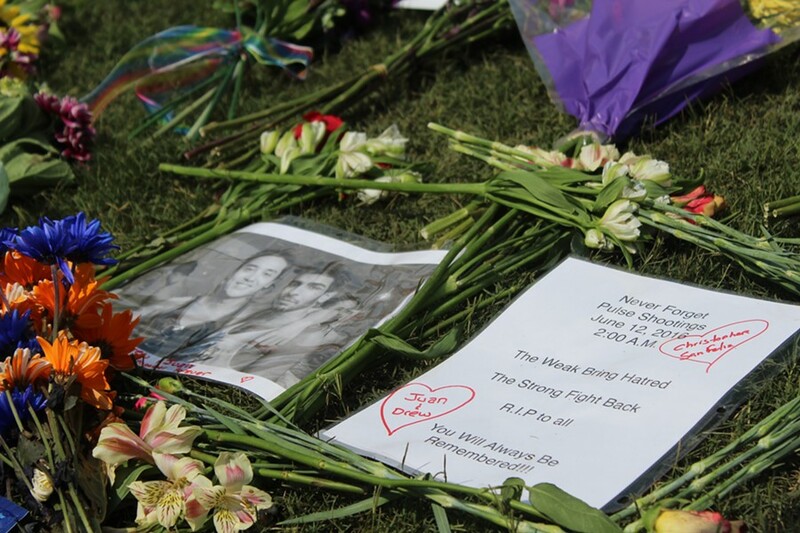 Many arrived with flowers, handmade posters or cards in remembrance of those fallen, which they placed at the front of the lawn. 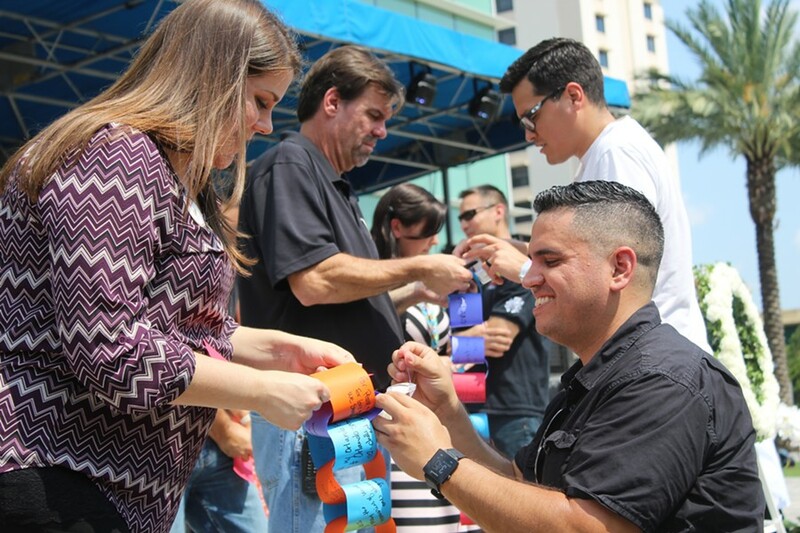 Several visitors wrote letters of support and love on colored paper, and turned each letter into a chain link that would be connected to the next letter. The man responsible for the chain was Eddie Cornejo, a Seventh-Day Adventist pastor from South Carolina who was spending the summer at a retreat as a camp pastor. While not an Orlando resident, he was impressed by the resilient nature of the city. “This city represents what the heart of America is – united under God," Cornejo said. "We live in a world filled with sin and tragedy, but God's love will conquer." 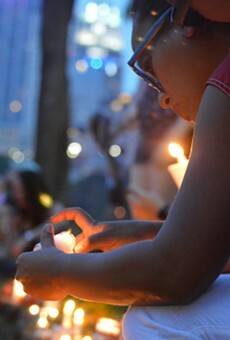 Some of the visitors paying their respects had prior experience with gun violence. 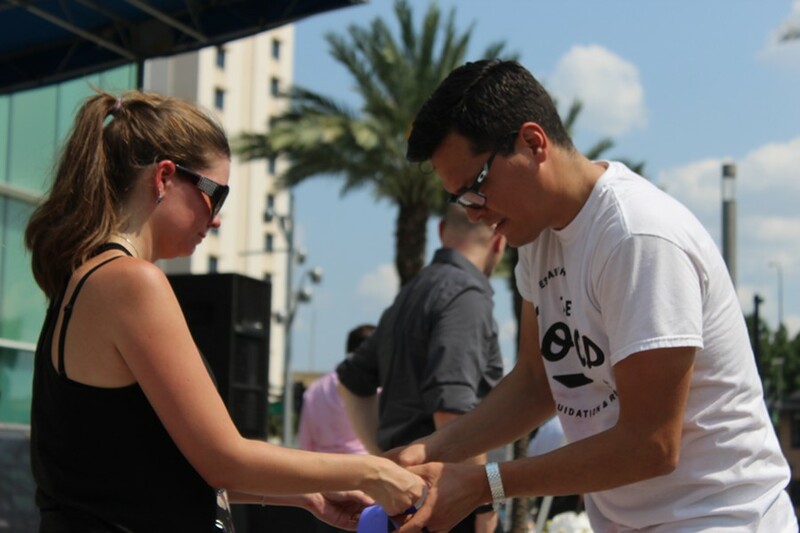 One such person was Ricardo Cartagena, a volunteer at the downtown Orlando fire station. Two of his family members have died from gunfire. "I know the feeling all too well of what the families are going through, I'm just here to place flowers down and be Orlando Strong like everyone else," Cartagena said. "Because the number of people dead is one I can't even comprehend." Another was Nissa Brunette, a resident of Orlando for just one year. Before Brunette came to Orlando, she lived in Aurora, Colorado: the town where a gunman opened fire inside a movie theater, killing 12 people and injuring 70 more. Brunette came to the Dr. Phillips Center with two of her children to volunteer and pass out food and water to visitors. “This is unbearably sad, but being able to come together as a community and support one another in this tragedy is a beautiful thing," Brunette said.